14 March 11.00- «Stars of Ugra» , the meeting sportsmen with children. Address: Address: Khanty-Mansiysk, st. Dzerjinskogo7. 14 March 17.15 – press – conference IBU. Official people –the president of the International Biathlon Union, Anders Besseberg , communicative director IBU Peer Lange. Press-conference after race with winners and prize-winners– 14 March. The second day of race. 15 March 17.00 – press-conference of sponsors. Press-conference after race with winners and prize-winners– 15 March. The third day of race. Press-conference after race with winners and prize-winners– 16 March. The fourth day of race. 17 March 14.30 – press-conference of organizing committee. 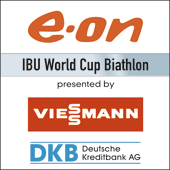 Address: Media centre of Biathlon named in honor of A. Filipenko.